President Muhammadu Buhari is set to head the Ministry of Petroleum for 18 months before appointing a substantive minister for the ministry. The President said this while meeting with some members of his political party, the All Progressives Congress, in Abuja recently. One of those at the meeting, who spoke on condition of anonymity, on Sunday said that the President said he would use the 18 months of heading the petroleum ministry to reposition it. “At the meeting we had recently, we discussed the issues of portfolios and other matters,” the President said he was going to handle the Ministry of Petroleum himself for about 18 months. “He said it was after this that he would appoint a substantive minister for the ministry. He said he would only personally handle the reorganisation of the much-important ministry. It was, however, gathered that the President was thinking of appointing an experienced person as his special adviser on petroleum. The President was once a minister in charge of the ministry so due to this experience, he was said to have vowed to make sure that he blocked all the loopholes that enabled stealing of money or petroleum products. He plans to split the NNPC in two, creating a regulator and a vehicle for investments, according to Femi Adesina, a presidential spokesman. So far the president has fired the board and management of the company and replaced its Jonathan-appointed chief with Emmanuel Ibe Kachikwu, who was executive vice-chariman of Exxon Mobil Africa. 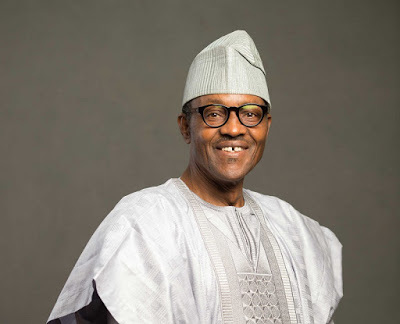 He has also ordered a review of oil-swap contracts and barred 113 vessels from loading oil and gas, about 250,000 barrels of Nigerian crude, about 10 percent of the country’s daily output, are stolen daily, Buhari has said. Speaking on the issue, the Peoples Democratic Party said it would be too early to speculate on whether the President would head the ministry or not. Rather, the opposition party urged Nigerians to wait till September when the President promised to name his cabinet. The Deputy National Publicity Secretary of the party, Alhaji Ibrahim Jalo, told our correspondent that he was only sure that the President was going to split the Nigerian National Petroleum Corporation. Jalo said, “That Buhari is going to head the ministry is speculative. But what we know, going by his body language and actions so far, is that he is going to split the NNPC. However, the Conference of Nigeria Political Parties said the constitution vested powers on the President to head any ministry or parastatal of his choice or appoint a representative. The National Publicity Secretary of the organisation, Mr. Osita Okechukwu, said that Section 5 of the 1999 Constitution “vested executive powers on the President. “He can decide to exercise such powers by himself or delegate it to his deputy, or public officers of the public service of the federation. That’s what the law says.